Our friendly team has combined over 100 years worth of experience in the industry. They draw on inspiration from fashion and more importantly street-style. Emma's been with us since we opened in '10 and with TONI&GUY for 13 years, she studied at the TONI&GUY London Academy in 2003. She has been on a number of Colouring Courses in London and Milan and believes that in order to be the best in what you do, you need to continuously expand your knowledge. Emma loves learning new techniques and keeping up to date with the latest fashion and colouring trends. When consulting with a client she always takes into account their skin tone, face shape, lifestyle and personality, in order to give them a look that is going to compliment them in the best way possible. Fiona joined our team in December 2016, she has 14 years of experience and enjoys all aspects of hairdressing, colouring, cutting, hair up and hair extensions. She trained in Racoon tape extensions, as well as micro rings application. 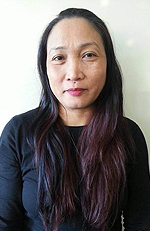 During her employment at the renowned Rush Salon back in UK, she re-trained in their Academy and attended regular sessions to keep up to date with the forever changing trends and techniques. Gemma has been with us since the beginning of '13 and in the industry for over 10 years during which she completed several advanced Colouring and Cutting courses in London and Manchester. She has a diploma in Technical Colour and loves to learn any new techniques. She also loves keeping up to date with the latest fashion trends. 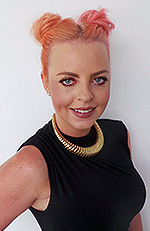 Gemma enjoys all aspects of hairdressing but her passion is colour and she likes nothing more than to make her clients feel great with a new look that will suit their skin, hair and lifestyle. 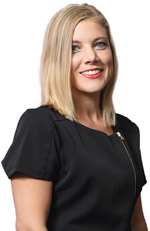 Cathryn joined our team in July '13. Her great enthusiasm and flair for creativity never cease to amaze our clients. She's Vidal Sassoon trained and has over 10 years of experience in the industry and she is always looking for ways to enrich her knowledge in hairdressing so that her clients have the best experience possible. Cathryn loves Kuwait and cannot wait to know more about the country and its culture. 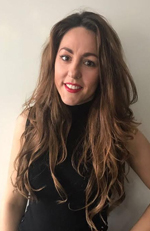 Lucy joined our team in May 2015 and have worked for TONI&GUY in her hometown Cardiff. She started off as Saturday girl and completed her apprenticeship and built her career for 6 years. She also worked in TONI&GUY UAE Ras Al Khaima. Having a passion for fashion, Lucy loves to keep up with the latest hair styles/ colours on trend. Lucy always keen t on learning new things and growing as a Stylist. Lucy loves to travel and loves to experience different cultures and excited to be in Kuwait and be part of TONI&GUY Cliffs Team. Leah completed her apprenticeship in the award-winning Phase 3 salon in Wales where she mastered her skills in colour, cutting, hair extensions and wedding/occasion hair and is also Balmain trained in 11 different techniques. Leah won Wedding Hair of the Year in the Welsh Hairdressing Awards 2015 in the UK and has a huge love for travelling and worked for "Oscar Oscar" in Australia where she lived. She has more recently been travelling all over Asia so has a lot of experience with different hair types and colours. She loves Kuwait and can't wait to learn more of the culture and country she is keen to provide excellent customer service. Leah has a true passion for her industry and knows that education is key she completed NVQ Level 4 Diploma in Hairdressing, she is always keeping up to date with the forever changing techniques and trends and has a love and flair for everything hairdressing, she loves nothing more than making her clients look and feel incredible. Katie Martin recently joined our team in October 2016. She loves doing facials, massages and all other body treatments. She enjoys meeting new people and helping them achieve their beauty goals. 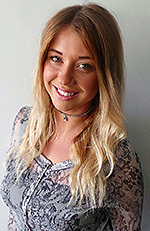 Katie trained in London and worked for over 16 years in high end salons & Spas in the UK, Australia and Malta. Katie specialises in CACI Non Surgical face and body treatments which she's been doing for 14 years. Analiza joined our team in 2015. 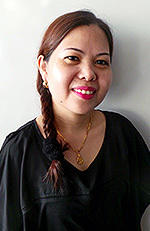 She has been a Nail/ Lash Technician for over 8 years and graduated in Cosmetology in the Philippines. She specializes in Manicures, Pedicures, Nail Art, Acrylic Nails and Eye Lash Extension. Her abilities are complimented by her warm and friendly personality. She believes in making her clients feel relaxed and comfortable while they are getting the best Nail and Eye Lash Services. Her dedication, attention to detail, and rapport with her clients has helped to build a reputation in Kuwait. Raquel joined our team in January 2016 and she has been a Nail/Lash Technician for over thirteen years. She began her career and exclusive training at Ricky Reyes Learning Institute in the Philippines. Raquel is well known in Kuwait for her excellence in Nail/Lash Services. She specializes in Acrylic Nails, Nail Art, Gel Polish and Eye Lash Extension. Raquel strives to provide an excellent professional service to all her clients. Her fundamental values are: Health, Quality, Integrity and Beauty!